Every Friday night departing @ 6:00 from the our Mackinac Island dock. 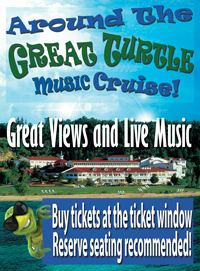 We have a cruise around Mackinac Island with live music and narration about the Island. Call to purchase tickets or buy them at our Island ticket booth. Watch the video to learn more.